As February 14 approaches, boyfriends, girlfriends, husbands, and wives around the world are reflecting on what might be the perfect Valentine’s Day gift for that special someone. Understandably, it can be tricky to find a gift that’s meaningful, unique, memorable, and doesn’t toe the line of being too cliché. Look no further because we have a gift suggestion that’s unlike many of the gifts you’ll find on the market today. What if you could transform this canvas into a physical representation of your love? 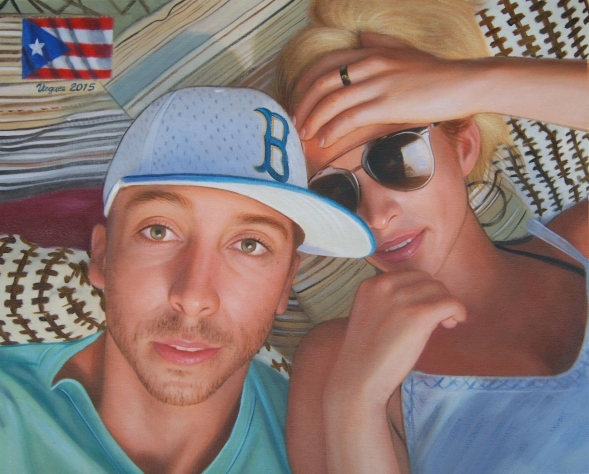 Imagine what a surprise your Valentine will have when he or she opens the gift to discover a custom hand-painted portrait of the two of you–a symbolization of your love brought to life in a uniquely artistic manner. You may be wondering how the creation of a custom portrait works, as finding an artist and figuring out how to have it delivered on your own can be complicated. With Paint Your Life, it’s actually quite simple. After browsing the Paint Your Life Valentine’s Day gallery for an artist of your choice, you’ll submit the photo that you want re-created as a painted portrait. From there, the artist will get to work and create a gift that may very well bring tears to your loved one’s eyes. 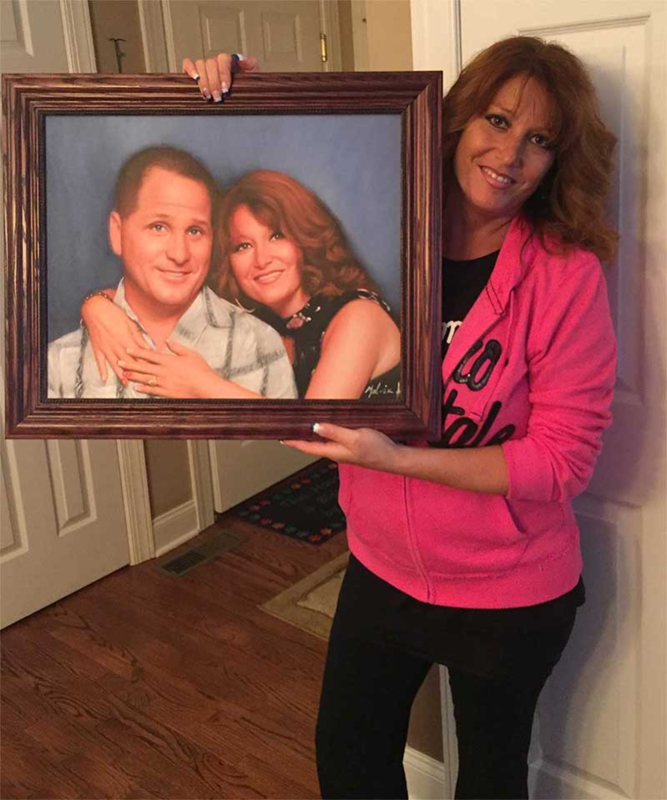 If you’re still on the fence–here are three reasons a custom hand-painted portrait makes the perfect Valentine’s Day gift for that special someone in your life. Flowers, jewelry, concert tickets, and other conventional Valentine’s Day gifts are great options…if you want to go the conventional route. However, if you truly want to surprise your loved one with something unique and personal, a portrait is the way to go. Because you’re commemorating a moment in time that is unique to you and your love–whether it be your wedding day, prom picture, or a recent couple’s trip to the beach–the gift you give has no chance of being replicated by anyone else. This year, choose unique over conventional. Your special someone won’t see it coming! #2: It Lasts a Lifetime…and Beyond! Although trips to the beach or a special dinner at the newest gourmet restaurant in town can certainly be special–giving your spouse or partner something that can last through the years can make all the difference. Additionally, if you have the ability to pass this portrait onto future generations of your family, you have an extra layer of timeless sentimentality added to the gift. Perhaps the portrait portrays you and your spouse on your wedding day. Or the two of you standing with a scenic view from a recent anniversary vacation. Or the photo you snapped on your first date. Whatever it may be, the portrait will be a unique, decorative element your loved one can mount in the home that will forever remind him or her of special memories. When your special someone discovers that you took the time to select a special photo and talented artist to bring your love to life in the form of a portrait, he or she may feel emotional. This is because, beyond the act of commissioning the creation of a portrait, you felt the desire to creatively demonstrate what he or she means to you in a personalized and artistic manner. Your emotional connection with your loved one will inevitably be strengthened–and the love you share will be renewed. The way in which you present your gift can also be highly personalized, meaningful, and surprising. Watch the video below to learn about how one of Paint Your Life’s customers creatively presented a portrait to his girlfriend. Create a physical representation of your and your partner’s love with a custom hand-painted portrait, and you’ll have the perfect Valentine’s Day gift that will be remembered for years to come. Get your custom portrait order in early to receive the gift in time for Valentine’s Day–browse the gallery and submit your order now!